Serene Beauty Therapy is a home-based company located in Wellington New Zeland offering a wide range of beauty therapy services and World organic products. Shine Design was asked to design the company brand, business stationery, brochure and website. Project: Brand and Business Stationery and Promotional Material Design. Format: Business Cards, Compliment Slips, Letterhead and DLE Promotional Brochure. Brief: To create a fresh logo with a New Zealand ‘feel’. 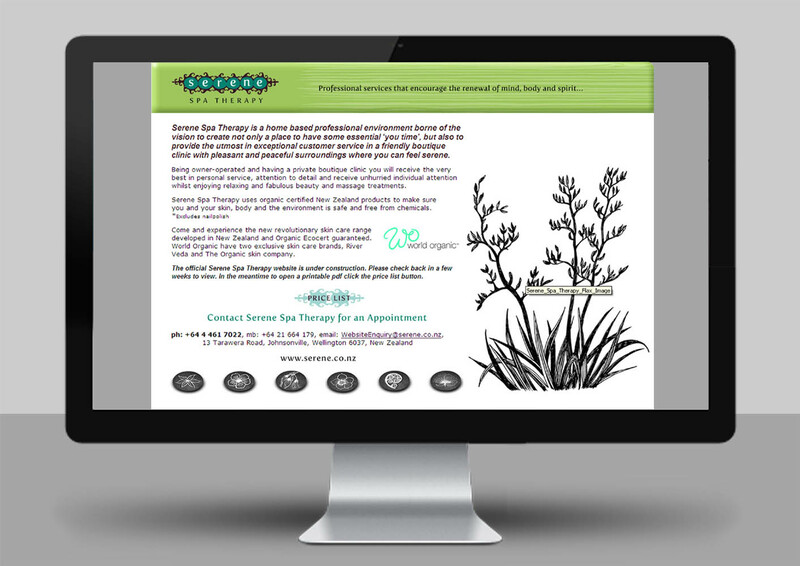 The NZ ‘look and feel’ was created by using modern fonts and colour combinations and native NZ plant illustrations. The logo was designed with a tactile hand-drawn koru swirly border. 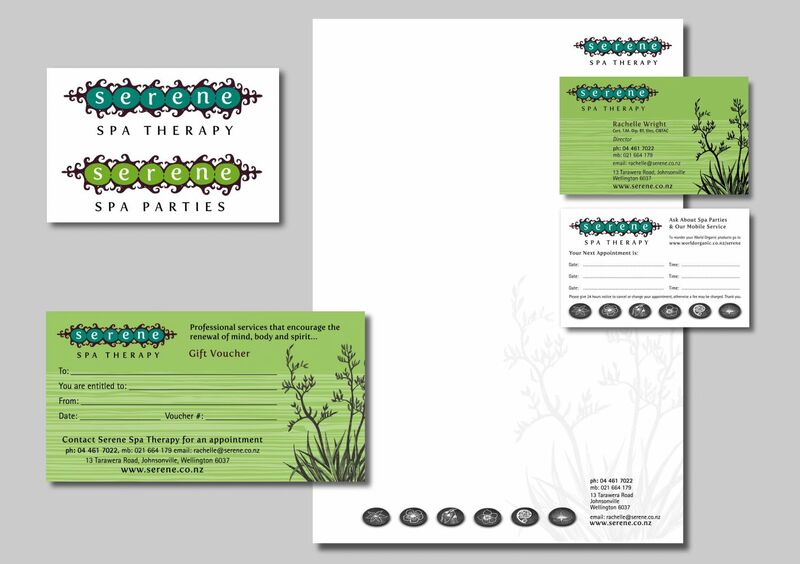 Format: Business Cards, Compliment Slips, Letterhead. Format: DLE Full colour, A4. 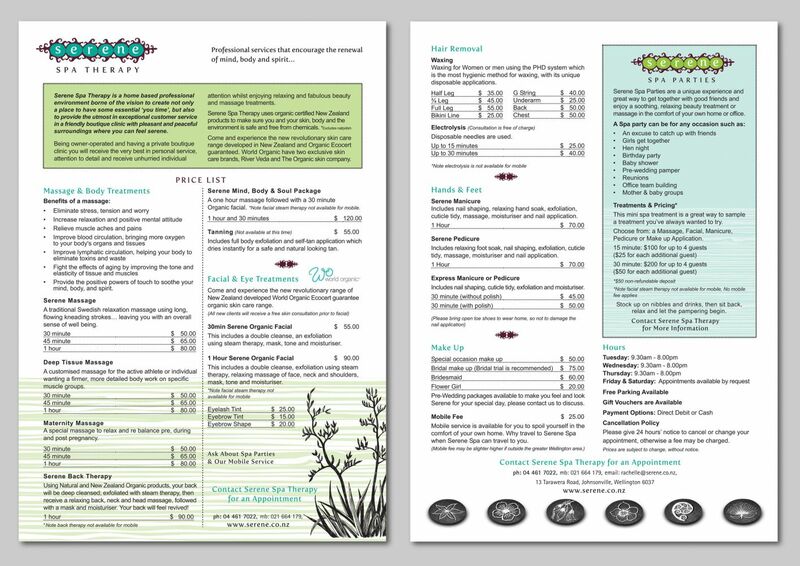 The Serene brochure was designed with the same consistent colours, fonts and images as the company brand. The stone images were created by overlaying the illustrations onto the stones. Format: Website template design and coming soon page.